Unfortunately this post has a serious side to it. 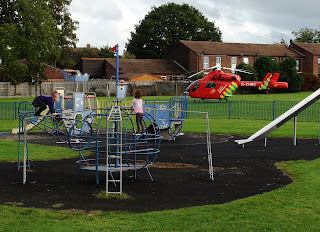 The helicopter was there in order to bring urgent medical assistance to someone close by who had suffered an accident. 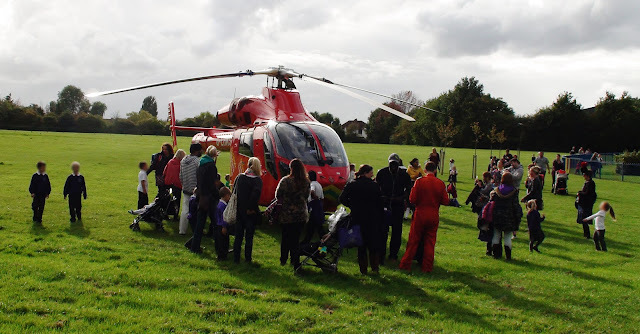 As the pilot told me, they would normally only bring the helicopter if the situation was very serious and/or if specialist anaesthetic or other drugs were required. Even a heart attack would normally be dealt with by road ambulance. The helicopter, which is based at London Hospital in Whitechapel made the journey to Worcester Park in 11 minutes. Apparently the patient had an accident at home and after the Air Ambulance doctor and paramedic had stabilised them, they were being transported by ambulance to St Georges hospital. Thoughts are now with the patient, likely to be someone known to a number of blog readers. The blog offers hopes for a speedy recovery. Apparently the patient had fallen from the third storey of one of the blocks of flats in Creston Way. 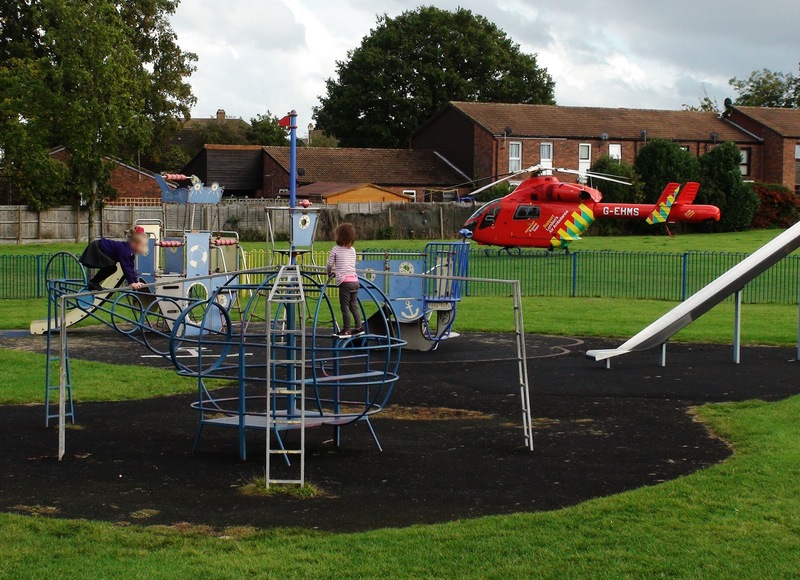 See the Sutton Guardian story for more details: http://www.suttonguardian.co.uk/news/13807073.Air_ambulance_called_after_person_falls_three_storeys. Once again, our thoughts are with the patient.